Panzerotti are so Italian that there is no a real translation into English, like pasta, pizza or focaccia. 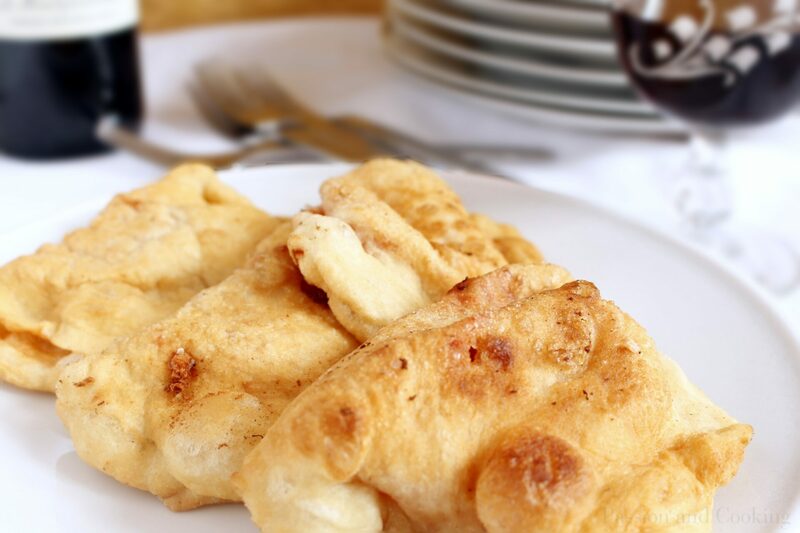 They are prepared with a dough similar to that of pizza or focaccia (see tips) and are stuffed with tomato and mozzarella, closed to a half moon shape and then deep fried until golden brown. A delight for the palate, to which it is hard to resist … one leads to another. They trace back their origin to the peasant tradition of Apulia, in particular to Bari (a beautiful Medieval port city). They are an example of how you can prepare an appetizing dish with a few simple ingredients. 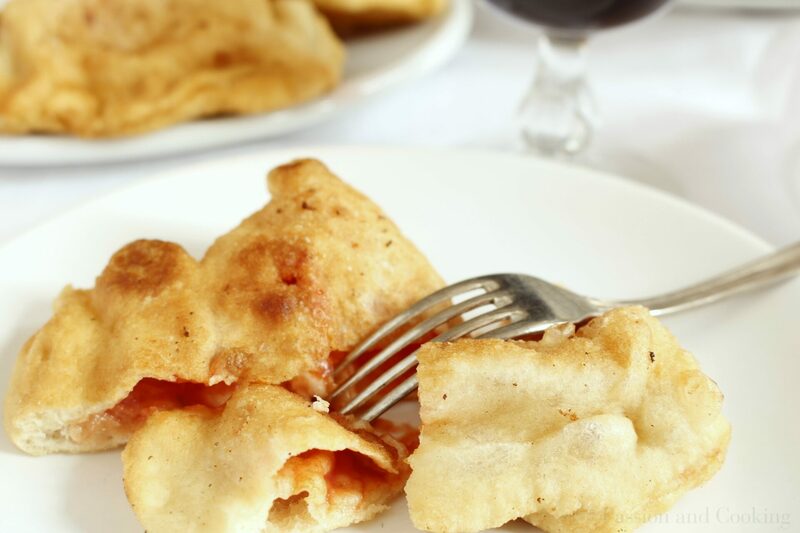 We often confuse panzerotti and calzoni, and actually there really is a difference: panzerotti are fried (therefore really tasty), while calzoni are baked in the oven (lighter). Panzerotti can be served either as an appetizer (I suggest a smaller size) or as a hearty snack. My daughter loves them; I usually prepare them for dinner as a main course accompanied by a seasonal salad. The recipe with tomato and mozzarella is classic, and you can add a pinch of oregano for some aroma or some ham for a richer flavor. Panzerotti are very versatile – use your creativity to determine which is the best filling for you. Last but not least sweet, nutella-filled panzerotti are delicious, too! I do love panzerotti! So fitting that you chose my birthday to blog about them…..
Me too!!! So Happy Birthday Frank and keep enjoying Panzerotti!